Lands End to John O Groats (LEJOG) Part 2. 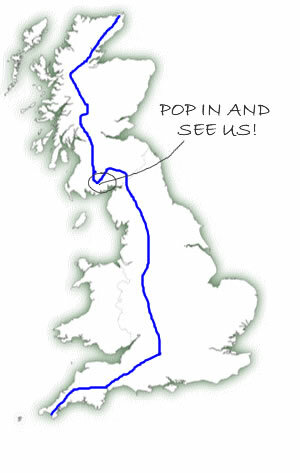 Is this the record for the slowest LEJOG? I recently wrote a blog on the amount of people that pass through our B and B at Glenaldor House as they stop to rest their weary bodies on their personal epic journey from Land’s End to John O Groats. Included in the blog are the various records set over the years for the fastest times set by cyclists and walkers. I ended the piece posing the question who thinks they could hold the record for the slowest LEJOG??? – I think I have found the winner or at least a very strong contender. Unless of course you are out there and have still to contact me! I have recently had an e-mail from Grant Weiss who lives in the United States near San Francisco and he sent me a great story that began in the 90s and still continues to this day! In 1990 Grant walked the breadth of the country coast to coast which resulted in him then deciding it would be a good idea to say he had walked the length and breadth of the British Isles and so the extraordinary journey from one end of the country to the other began. Grants epic started at Land’s End on May 22nd 1995 and by May 25th he had covered the 60 miles to Crantock and then went back to his home in the States. Following this Grant was only able to get back to the UK every 2 – 3 years sometimes for 10 days and sometimes for as little as 4 days. During these times he duly picked up where he left off on his previous trip and is now nearing completion of the elusive end to the journey. A taste of his journey’s include the Cotswold Way (1993), The Heart of England Way (1997), parts of the Furness and Cumbria Ways (1998), parts of the Southern Upland Way (2007) and latterly he completed Inverness to Golspie from Sept 11th to 14th this year (2010). As you can imagine Grant has a few stories to tell with some of his experiences along the way – like the Lancashire farmer he asked for directions and started chatting to him about his LEJOG journey. The farmer insisted that Grant went back to the farmhouse, have Sunday Dinner with the family, put him up for the night, full breakfast in the morning and then drove him back to his previous finishing point in the village the next morning!! Or the time at Loch Lomond when he took a boat ride with gypsies, then camped, drank and sang with them around a campfire all night. I don’t expect much distance was covered on the next day’s walk!! Grant has also had various friend and family join him on some parts of his the walk over the years and has enjoyed the company along the way. My calculations tell me he has approx 75 miles to go which he hopes to complete on his next visit to the UK in 2012.